We are dedicated to improve continuously and exponentially by our employees, clients and environment. Furthermore, we are aware of a positive impact requirement that will contribute the development, transformation y enhancement of our world. Promotion of the basis sport, human rights support though ONGs, and new talent’s formation with scholarships and collaboration’s agreements with universities and education schools. Strong commitment with the systems of environmental management, comprehensive compliance of the ISO-14001 regulation and the constant search of new goals and objectives. Actively and creatively participation for the transformation of the through the development of the TIC projects. 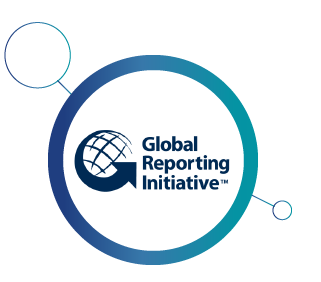 The Altia’s memory sustainability, was elaborated following the advice of the G4 Guide from the Global Reporting Initiative, it is responding to our agreement through the transparency of the management and the processing of the information. Get to know the most relevant subjects in terms of sustainability and the commitment with our clients and the society in general. We make public our commitment to advance the development of a supportive framework of labour relations based on equal opportunities, non-discrimination and respect for diversity, promoting a safe and healthy environment and facilitating communication within our teams. As a guarantee of compliance with this commitment, with the participation and collaboration of staff representation, a Protocol for the Prevention and Treatment of Work, and Sexual Harassment has been published, which constitutes a fundamental pillar in the functioning of our labor relations. In the relationship with our suppliers we have acquired a series of commitments that guarantee standards of Quality, Environment and the Security of our company. Commitments established for their selection, monitoring and evaluation. If at any time during this process an incident occurs, it will be communicated and taken into account for the approval as a supplier.